While we're not expecting any major phone news to come out of WWDC (aside from the possible appearance of the iPhone SE 2), all sorts of iPhone rumours are hitting the street as Apple's annual developer conference nears. The rumours range from some plausible changes and upgrades to some very silly-looking new colours. Starting with the tidbit most likely to happen, a report out of South Korea's ETNews claims that all three new iPhones scheduled to arrive this spring will feature OLED displays. Previously, rumours and forecasts indicated that at least one model - the mid-sized, 6.1-inch version - would stick with an LCD screen in order to keep costs down and offer customers a more affordable alternative to the likely $1579 iPhone X successor. This change would give Apple's upcoming iPhone lineup a more unified front, if each phone features the same display tech and FaceID. However, at the same time, it makes you wonder if having three models - with 5.8, 6.1 and 6.5-inch screens - would really be necessary, or just a symptom of a bloated portfolio. The next juicy piece of gossip comes from Deutsche Securities analyst Jialin Lu, who told Taiwan's Economic Daily News that at least one iPhone arriving this spring will sport triple rear cameras, instead of the dual-camera module found on the iPhone X and iPhone 8 Plus. By adding a third camera to the back of an iPhone, Apple would have more photographic data to use with the phone's portrait mode and other advanced features, but the real benefit would be the addition of new depth-sensing tech and enhanced zooming. While this rumoured iPhone wouldn't be the first of its kind to offer three rear cameras (that honour belongs to Huawei's P20 Pro), this development would confirm a Bloomberg report from 2017 which claimed that Apple's long-term road map included adding 3D sensors to both sides of future iPhones. The final morsel of news is the appearance of some funky looking iPhones sporting pastel paint jobs. First spotted by TechnoCodex (via 9to5Mac), the relatively unknown site claims these "Violet" and "Peel green" iPhones could represent possible colour options for the next batch of iPhones. 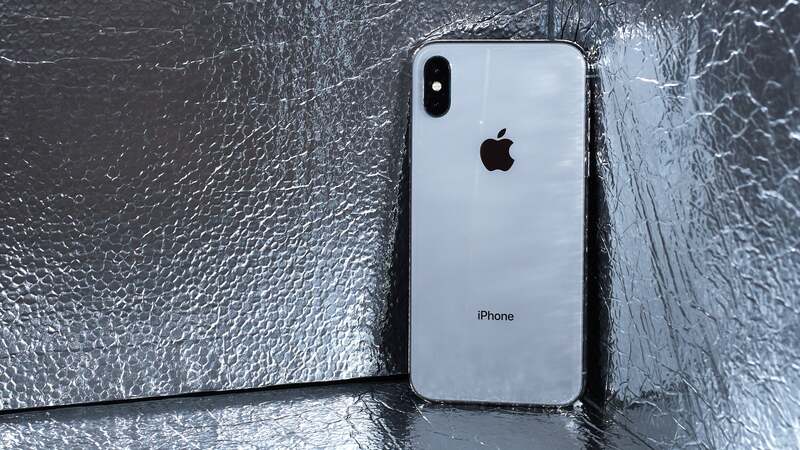 TechnoCodex claims the leaked photo above comes from an Apple plant in India, and in addition to those new vibrant glass backs, these prototype handsets also sport gold-coloured metal sides, instead of the standard stainless steel band found on the current iPhone X. The timing of these rumours serve to remind us that in order to make enough devices to meet demand this spring, now is about the time when Apple needs to finalise its upcoming iPhone designs, before actual production ramps up later this winter.